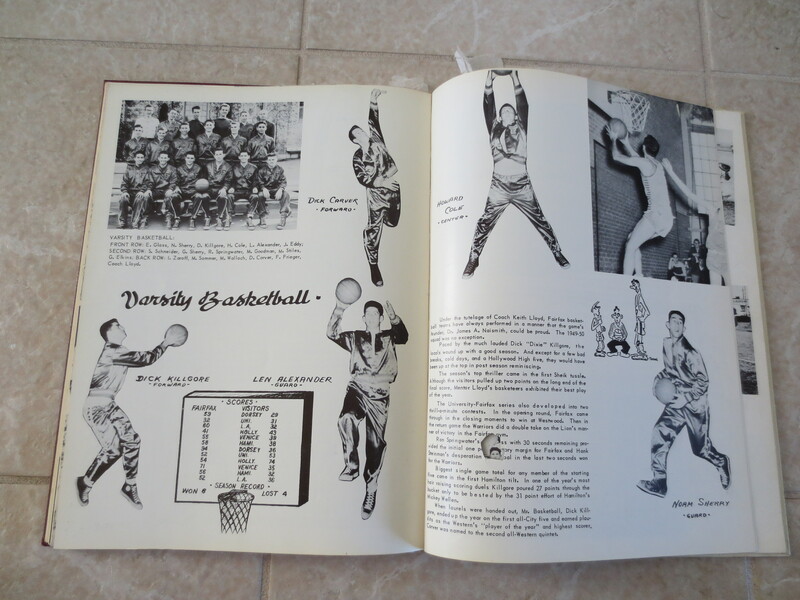 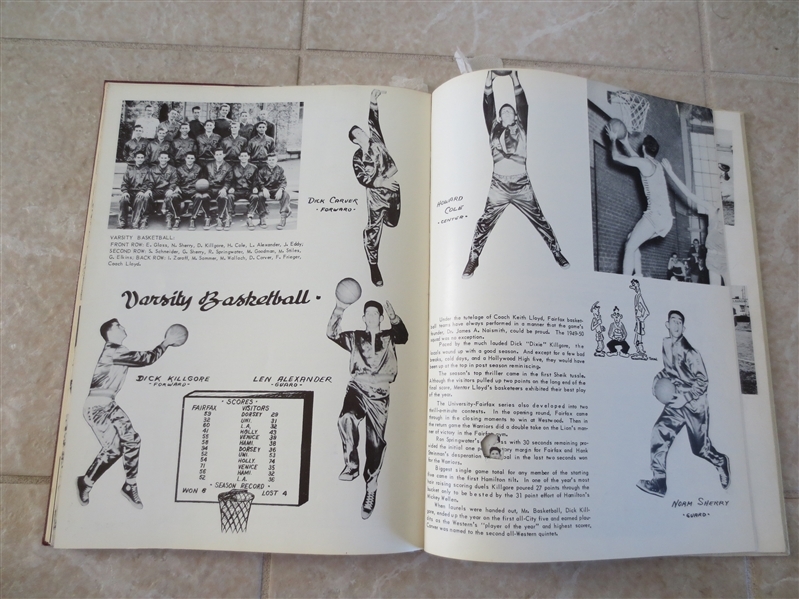 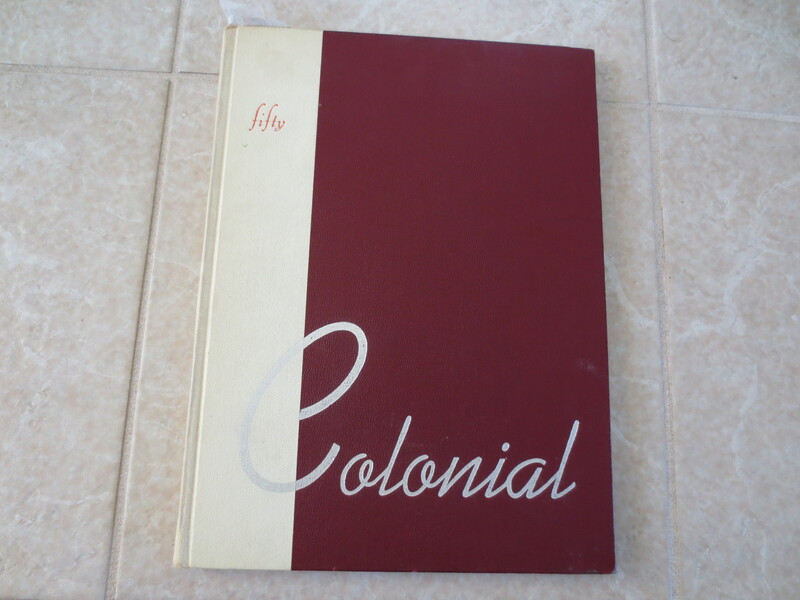 What we have here is the 1949 Fairfax High School yearbook that pictures future sports stars including Jack Kemp (played pro football and ran for President of the United States). Kemp is pictured on the baseball team and not the football team in the yearbook! 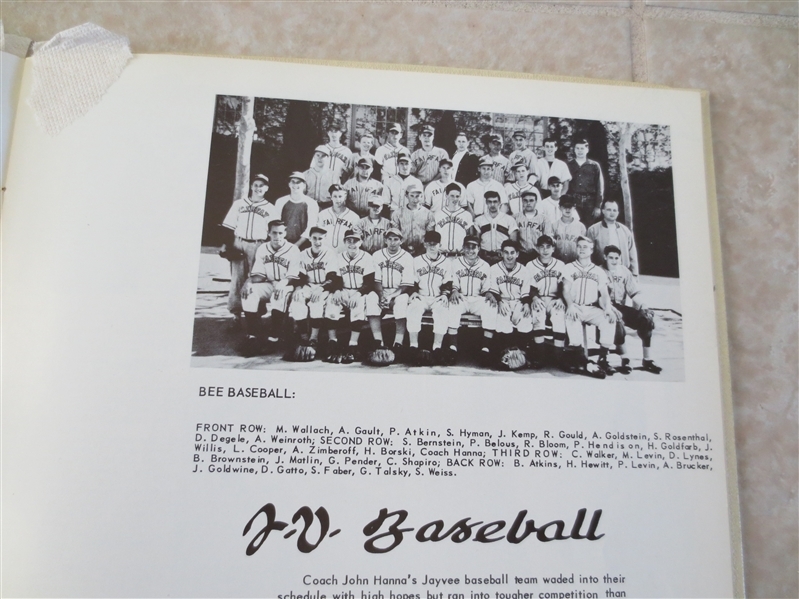 Also pictured are future baseball major leaguers Norm Sherry and Al Silvera.